Investing or Gambling, What’s The Difference? In traditional sports, it’s easy to measure if you are good based on batting average, goals scored, or other statistics. In the stock market, some investors seem to believe their next great stock idea will be the big winner that makes up for all of their losers. 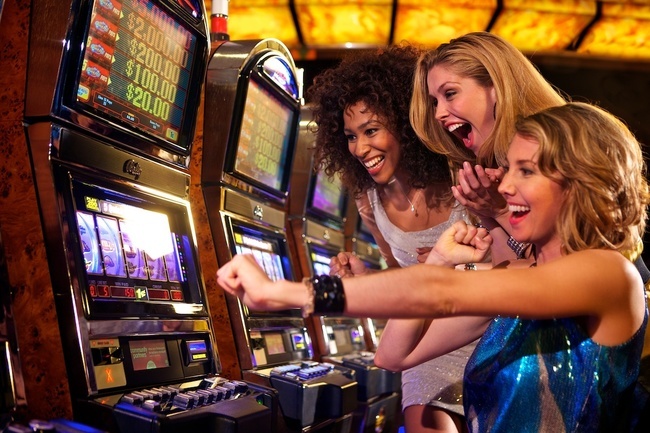 The question every investor needs to answer is…are you investing or gambling? After Twitter (Nasdaq:TWTR) released Q2 earnings this past summer, they held an earnings call that not only frightened investors, but was full of ominous quotes by then interim-CEO Jack Dorsey and CFO Anthony Noto. We at [Instavest](instavest.com/?utm_source=blog&utm_medium=post&utm_campaign=TwitterQ3) summarized much of the concern raised during that call through an infographic that laid out 10 reasons Twitter is dying. Three months later, following the Q3 earnings call led by now-CEO Jack Dorsey, many of the same concerns ring true, sending Twitter’s stock into a downward spiral. The stock has fallen to $30.86 at close on 10/28/2015, down 20% for the year, a day after Q4 expectations were announced - which were below prior estimates. Subsequently, 18 analysts on Wall Street lowered their price target for the stock. Whole Foods Market (WFM) has been a pioneer in organic food since it’s opening in 1980. The company went public in 1992 with just 10 stores, hoping to have 100 locations some day. Today, Whole Foods operates 431 stores and is worth $11.5 billion. The supermarket chain played a monumental role in promoting healthy, organic, and natural products. However, in the past year, it has been mired in controversy. Mis-pricing scandals, $6 jars of asparagus in water - mocked as part of a larger segment by John Oliver on Last Week Tonight on HBO, and a reputation of “Whole Foods, Whole Paycheck” have hurt the business, with some consumers so outraged they called for a boycott. 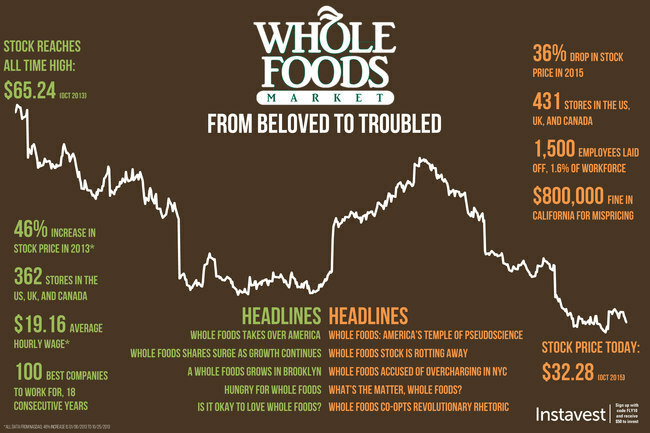 Once America’s progressive darling, Whole Foods seems as though it may have fallen from grace. 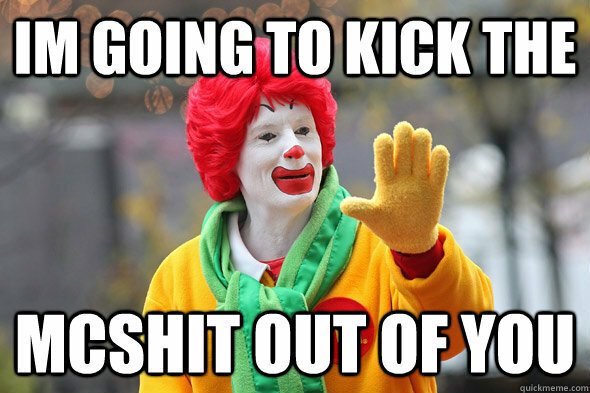 The Dow Jones is up almost 300 points today in part on news that McDonald’s turnaround strategy is finally working. U.S. quarterly same-restaurant sales grew for first time in two years as the new buttermilk crispy chicken sandwich as well as increased breakfast sales drove foot traffic. 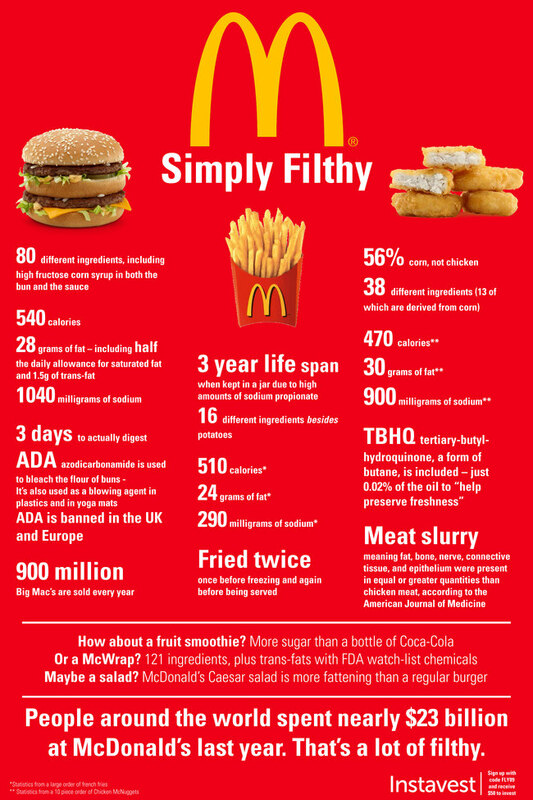 While we’re happy for MCD shareholders, let’s not forget all of the goodness MCD puts into this world. Let’s take a look. 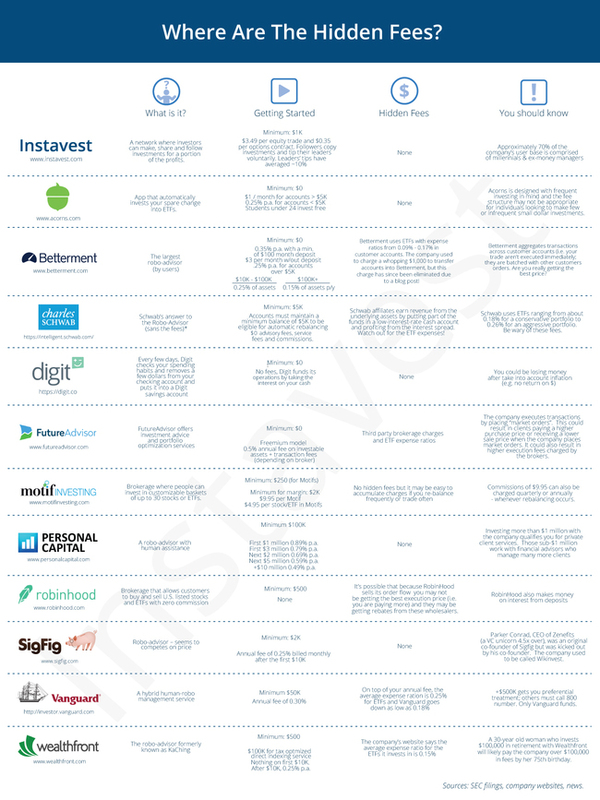 Infographic: Where Are The Hidden Fees in FinTech? We found them by going through the SEC filings of these investment services. What’s been your experience with hidden fees? Replicate The World’s Best Investments at Instavest where we have no hidden fees! In 2015, McDonald’s (NYSE: MCD) stock seems to have turned a corner. Shares have risen by approximately 10% and investors are hoping this is the start of a new trend. The stock has been a strong long-term play, with an average annual return of nearly 12% over the last ten years. Prior to this turnaround, however, the stock’s performance was far less impressive. When a large company like McDonald’s lost its way, activist investors began to step in. 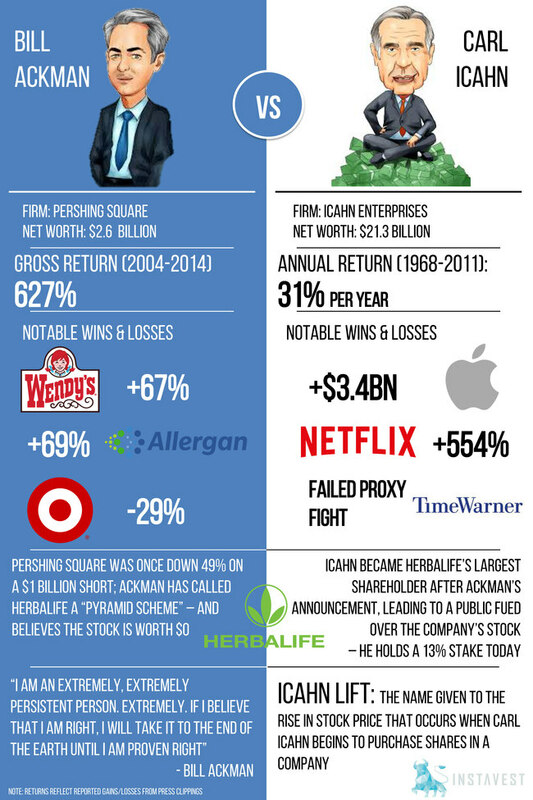 Continuing our discussion about activist investors, we at Instavest have profiled two of the most iconic activist investors - Bill Ackman of Pershing Square Capital Management and the legendary Carl Icahn. Their approach has found historical success in unlocking shareholder value across a variety of situations. On Instavest today, you can find a growing number of activist ideas being posted as investment opportunities for our users. Some would say that today’s market has become too efficient. With the advent of computer trading programs, in-depth research platforms, and teams of analysts following every whiff of data, the small investor might feel outgunned. In order to combat these challenges, large hedge fund players may try to force companies to unlock value, by purchasing large chunks of shares. With investors like Bill Ackman, Carl Icahn, and Daniel Loeb roaming about, it would be all too easy for individuals to stick to index mutual funds. That being said, there is a way for small investors to band together to fight back. For the past six weeks, the Federal Reserve has been in the headlines as the markets anxiously await its decision regarding raising the Federal Funds Rate for the first time since December 2008. Between official press releases of meeting minutes, off-hand comments by Fed governors, and commentary by Chairwoman Janet Yellen, the Fed has poorly communicated what to expected, creating severe volatility in the markets, alongside a major correction that occurred in mid-August. Most investors already know that PayPal (NASDAQ: PYPL) is now an independent and publicly traded company. After serving as eBay’s growth engine for years, the company is finally free to chart its own course. PayPal faces huge competitors like Apple Pay, Google Wallet, and even Visa Checkout. However, even with significant competition, there are at least three ways that PayPal can put cash in your pocket. The first way PayPal can put cash in your pocket is, by letting you skip more expensive options to send money overseas. PayPal already has a worldwide presence because of its usage as an online payment system. However, the company’s ability to get into the $600 billion international money transfer market has been somewhat limited.